Testing computer hardware can be a difficult process. On the one hand there’s a desire for more information and benchmarks, and on the other hand there’s a desire for timely reviews. Our goal at AnandTech has always been to deliver the most comprehensive reviews possible, and while we strive to timeliness there are occasions where additional testing or questions may delay a review. Ultimately, there’s a balancing act that needs to be maintained, and over time we periodically refresh our review suite and testing methodologies. With 2012 now here, we’re launching a new suite of benchmarks for our laptop reviews. 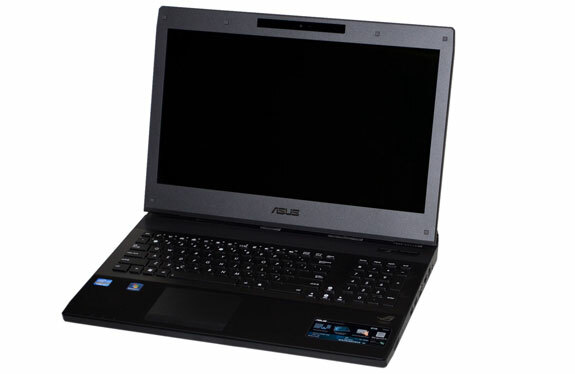 We'll also have the results from our first laptop using the new tests, courtesy of ASUS' G74SX. Some of the tests have already been in use for a while and others are brand new. In order to provide a single location with a list of our benchmarks and testing procedures, we have put together this short overview. We plan on using the following test suite throughout 2012, and while it’s possible we will add some benchmarks, we don’t have any plans to stop using any of the following at least for the next year. Starting with our general tests, all of these have been in use for several months at least, with many tests dating back to 2010 and earlier. We’ll continue to use the full PCMark 7 suite, PCMark Vantage (x64), Graysky’s x264 HD encoding test, Cinebench 11.5, 3DMark06, 3DMark Vantage (Entry-Level and Performance defaults), and 3DMark 11. We’ll also continue with our battery life tests (now with Internet Explorer 9 in place of IE8) and LCD tests. So for most areas, our test suite remains largely unchanged—we’re finally dropping Cinebench 10, but that’s about it. As we’ll mention in the conclusion, we’re willing to add some additional general performance benchmarks if there are any specific requests. One of the difficult things to quantify with modern PCs is how fast they are in the things most people do on a regular basis. Part of the problem is that most PCs from the past three or four years are all “fast enough” for generic tasks like surfing the web—if you’re actually reading the content of web pages rather than just repeatedly loading a complex page, I’m not sure most users would notice the difference between a 2GHz Core 2 Duo or Athlon X2 laptop and a quad-core i7-2760QM. This is why battery life is such an important element, as where many wouldn’t notice the difference between a web page loading in two seconds and a web page loading in one second, they’re far more likely to notice two hours of battery life versus four or eight hours. Anyway, let us know if you have other mobile benchmarks you’d like us to consider. With that out of the way, we’ll save the next page for the major changes: our updated gaming suite. Can you include the Chromium compilation test that you to do for CPU tests? I'd second that. A compilation test would be great. I realize it is not as demanding as many of the other games, but so many people play it (and will play it for years to come) that is sure seems like it deserves a spot. Still, thanks for keeping your benchmark suites fresh and relevant! Cool, thanks for listing those factors.